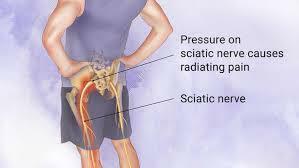 Sciatica is symptoms of burning, pins and needles, numbness, aching down to the back of the leg. 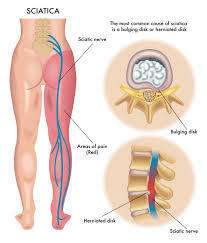 The name sciatica refers to the sciatic nerve. This is the largest nerve in our body. It comes out from the lower back bone from both side and extends down to the buttock, the back of the thigh, the calf and down to the foot. Depends on which part of the nerve is being impinged, people may have different feeling, severity and the extent of the pain. The main reason of the sciatic nerve impingement is some blockage at the outlet of the spine. It can be a slipped disc, or abnormal bone growing (called osteophyte), or displacement of two segments of the back bone which compress onto the nerve. Treatment for sciatica is mainly to reduce the compression and to reduce pain. 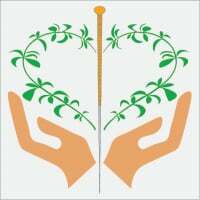 Acupuncture, ultrasound, heat, and massage can reduce pain effectively. Moreover, a physiotherapist improves the "space" at the nerve by giving spinal mobilisation. Client needs to do home exercises in order to improve flexibility and movement of the spinal joint. In long term, postural correction, reducing workload at the lower back and back exercises can help to prevent recurrence of sciatica. If the above methods do not help, client may need to consider surgery.